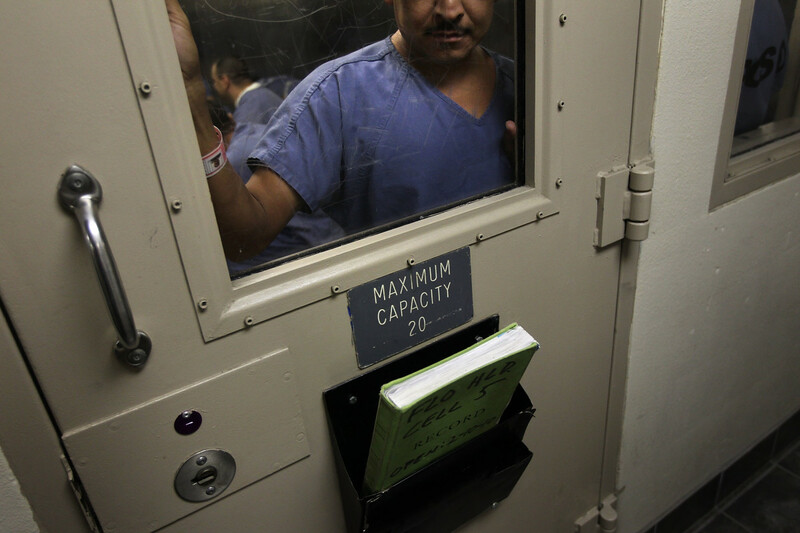 An immigrant stands in a holding cell at the U.S. Immigration and Customs Enforcement detention facility for illegal immigrants on July 30th, 2010, in Florence, Arizona. The number of infants under the age of one in Immigration and Customs Enforcement detention at the border has increased since January, reaching levels that alarm immigration advocates. Pro-bono attorneys working along the southern border noticed the increase over the course of a few weeks last month, when visiting clients in a detention center in Dilley, Texas. Attorneys were worried to see infants as young as five months old cradled in their mothers&apos; arms. By the end of February, they determined that at least "nine infants under one year of age" were detained in the South Texas Family Residential Center, which is one of the largest family detention centers in the country with 2,400 beds. Three of the country&apos;s more prominent immigration legal organizations—the American Immigration Council, the American Immigration Lawyers Association, and the Catholic Legal Immigration Network—subsequently filed a complaint addressed to two Department of Homeland Security oversight officials calling for the immediate release of these nine infants detained with their mothers in the Dilley facility. ICE, reached for comment on Friday, put the number of infants detained even higher. "As of March 1, 2019, there are 17 infants under one year old among the family units at the South Texas FRC," writes Danielle Benent, an ICE spokesperson. In addition, Bennet adds that one infant under the age of one is currently being held at a family residential center in Karnes, Texas. 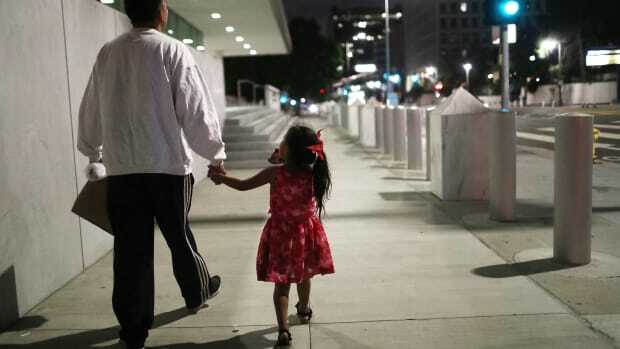 As the number of family units crossing the border into the U.S. has increased, so too has the frequency of those with younger children, including infants, who are being encountered at the border by U.S. Border Patrol and turned over to [ICE]. As such, ICE is seeing an uptick in the number of family units with infants at its family residential centers (FRCs). In addition to warning about the increase in the number of infants detained in south Texas, the complaint delivered on Thursday also claims that one infant has been locked in detention in the Dilley facility for over 20 days—a clear violation of longstanding federal statute, which limits the time minors can be detained to 20 days. Kathryn Shepherd, national advocacy counsel for the America Immigration Council, says that attorneys with the Dilley Pro Bono Project—an initiative run by the three national organizations who wrote the complaint—represent a client with an infant who has been in detention since February 6th. An ICE official, speaking on background, says that ICE has no information on the particular case the complaint alludes to. However, the official notes that, even though federal statute—namely the Flores Settlement Agreement of 1997—prohibits the detention of minors for more than 20 days, ICE will sometimes detain families for more than 20 days under specific circumstances—for instance, if the family is waiting a final order of removal, or if a court order prevents them from being released. Shepherd, echoing the complaint, calls for the immediate release of all the infants held in the Dilley facility, noting that the government has the discretion to release detainees and utilize alternatives to detention, such as ankle bracelets. Though the number of families apprehended on the southern border has risen in recent years, some immigration advocates attribute, at least in part, the increased number of children and infants in detention to the Trump administration&apos;s unwillingness to utilize these parole mechanisms. If the infants are not immediately released, advocates—recalling especially the deaths of two migrant children in Customs and Border Protection custody in December—worry that the infants&apos; health could be in danger. The statement Bennet provided outlined the measures ICE takes to ensure the health of people in its custody. "ICE takes very seriously the health, safety and welfare of those in our care," Bennet writes. The statement details how ICE provides comprehensive medical care to all people in the agency&apos;s custody, and how ICE employs a variety of medical professionals—including licensed mental-health providers—in its facilities. However, an array of experts on children&apos;s health have warned that detention, under any circumstances, is dangerous for children&apos;s health. In 2017, the American Academy of Pediatrics released a policy statement recommending that no child be placed in detention, warning that "even short periods of detention can cause psychological trauma and long-term mental health risks." In January, Colleen Kraft, the most recent former president of the AAP, said that there is no safe way to detain children, and advocated for alternatives to detention. "What we recommend instead of detention centers is family-based care coordination," Kraft said, referring to a set of practices that allow families to stay outside of detention while still making their court dates. 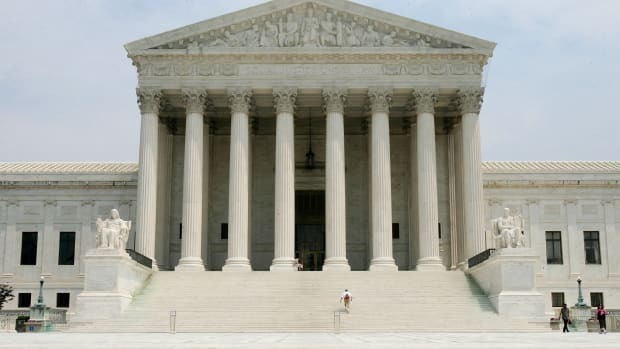 She noted that, in the past, the government has taken advantage of a parole mechanism that allows immigrant and asylum-seeking families to wait for their court dates outside of detention centers. "Families were going to stay with relatives, they were staying in non-profit situations. That&apos;s a much more humane way to care for a child." Though ICE maintains it can adequately care for children, some of the strongest calls against child detention have come from whistleblowers within the DHS (the government department to which ICE belongs). Last July, two doctors employed as medical and psychiatric experts by the DHS, Scott Allen and Pamela McPherson, penned a whistleblowing letter to Senators Chuck Grassley and Ron Wyden. 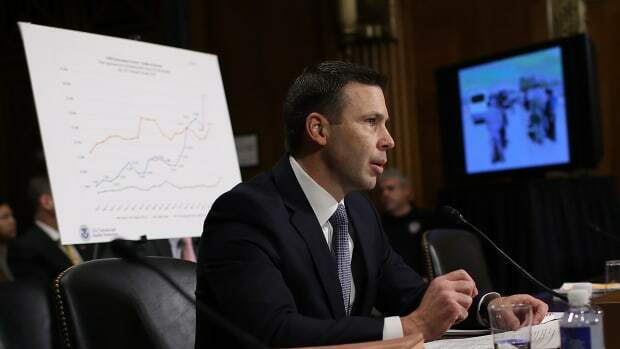 The two experts had conducted investigations of 10 different family detention facilities—including the facility in Dilley. "Those investigations, usually prompted by complaints, frequently revealed serious compliance issues resulting in harm to children," McPherson and Allen wrote. The problem with family detention is not the failure of the many good people who have labored tirelessly to make the existing centers better, with improvements in access to health and mental health services, educational and social programs. The fundamental flaw of family detention is not just the risk posed by the conditions of confinement—it’s the incarceration of innocent children itself. In our professional opinion, there is no amount of programming that can ameliorate the harms created by the very act of confining children to detention centers. Beyond the dangers detention poses to children generally, Shepherd says her organization, the AIC, has reason to believe that the Dilley facility remains specifically unable to adequately care for infant children, and has a history of offering poor child care. For example, Shepherd says that, in July of 2015, children in the Dilley facility were given vaccinations—but at adult doses, not meant for children. (According to a statement released by AIC at that time, adult-strength Hepatitis A vaccinations were given to approximately 250 children). In their letter, McPherson and Allen mentioned multiple deficiencies in the Dilley facility. They claimed that the detention center lacked sufficient medical space, and that staff had to use a gymnasium for medical overflow. They noted that the facility had difficultly employing enough pediatricians, and, as of July, had never been able to hire a child and adolescent psychiatrist. McPherson and Allen also wrote that Dilley staff dealt with misbehaving children—such as a two-year-old biting—by putting the children into medical isolation along with their parents. Katherine Peeler, a doctor working with Physicians for Human Rights, toured the Dilley facility in October. Though she maintains grave worries about the conditions asylum seekers face in detention, she says that the ICE personnel in the Dilley facility seemed well-intentioned. 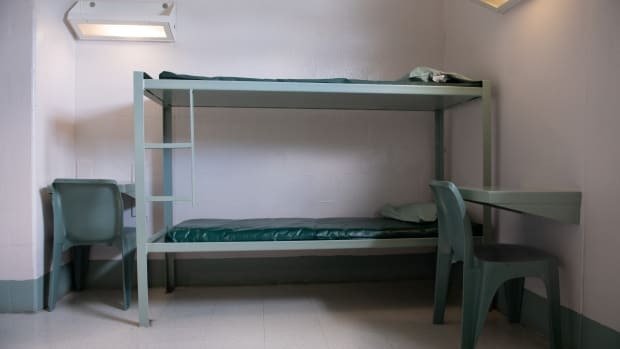 "The people who I met [working in the Dilley facility] were incredibly friendly and seemed very nice to the detainees," Peeler says, noting that she was only allowed to observe a small portion of the facility, and thus cannot give a complete evaluation. "I suspect that, if the facility is not up to par, or if [bad] things are happening, I don&apos;t think it&apos;s because of any malicious intent by the people who work there—for the most part anyway, of course you can&apos;t generalize." However, Peeler—in line with McPherson, Allen, and other experts—believes that, even if ICE personnel have the best intentions, detention itself is not safe for children. When it comes to ICE&apos;s capacity to care for children, the language in the complaint was blunt: "ICE is required to meet basic standards of care for minor non-citizens in its custody. It repeatedly has demonstrated an inability to do so." According to the complaint delivered Thursday, mothers in the Dilley facility say that some of their children have become sick. Others report that they had to abruptly change the kind of baby formula they fed their children, leading to feeding issues. Mothers have also told attorneys that their babies are losing significant weight, and some infants are experiencing sleep or behavioral issues. 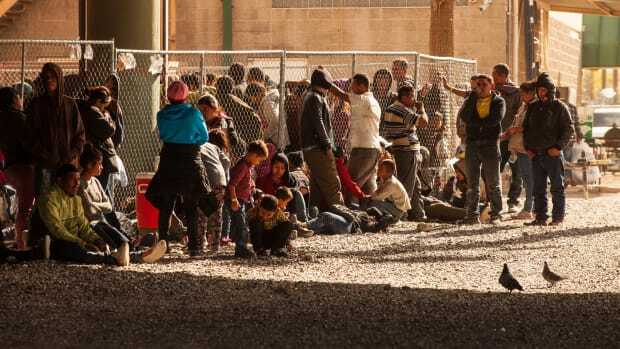 The move comes five days after legal organizations filed a complaint with the government over an "alarming increase" in the detention of immigrants under the age of one. But understanding why the detained population fluctuates so significantly is more complicated than looking at the number of beds. The agency said that, with government detention facilities overwhelmed, it had nowhere else to hold the families. Attorney General William Barr's decision will make thousands of asylum seekers ineligible for bond—which could significantly increase the number of people ICE tries to detain. Immigrants with certain prior criminal convictions will now be placed in detention without the opportunity to petition for release. La medida se produce cinco días después que las organizaciones legales presentaran una queja ante el gobierno por un "aumento alarmante" en la detención de inmigrantes menores de un año.